The Simon Silverman Phenomenology Center was founded in 1980 at Duquesne University by Dr. Amedeo Giorgi and Dr. John Sallis. It was an expression of the phenomenological orientation of the University's Philosophy and Psychology departments. The Center proudly bears the name of the late Mr. Simon Silverman, president of Humanities Press, who was the Center's first major benefactor. The collection is devoted to the phenomenological movement that was inaugurated at the turn of the century by the German philosopher Edmund Husserl, and that has been further advanced by figures such as Heidegger, Merleau-Ponty, Sartre, Arendt, de Beauvoir, Levinas, and Derrida, up to the current work done by Michel Henry and Jean-Luc Marion. The Center's collection also maintains a special interest in two precursors to phenomenology, Kierkegaard and Neitzsche. 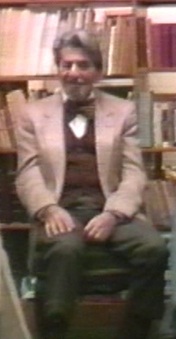 The Simon Silverman Phenomenology Center was never meant to be merely a "dead" repository of books and materials. It actively promotes the advancement of phenomenology by sponsoring original scholarship. The Center is internationally known for its sponsorship of an annual symposium on the Duquesne University campus that invites major speakers to give papers on cutting-edge areas of phenomenology. Edith Wyschogrod Marcia Sá Cavalcante Schuback and many more! During the annual meeting of the Society for Phenomenology and Existential Philosophy (SPEP) the Center sponsors the annual André Shuwer Memorial Lecture. Lectures have been given on trauma, tragedy, and friendship among other topics. The Center also hosts the annual Karl Stern Lecture on the intersection of phenomenological psychology and religious belief.